Three Piece were approached by a well established pub group because one of their local venues had structural damage to the roof. This listed building was in need of emergency repairs in the function room and all events were called off for health & safety reasons. The result was a bride and groom without a venue for their wedding day, only one month before the event date! 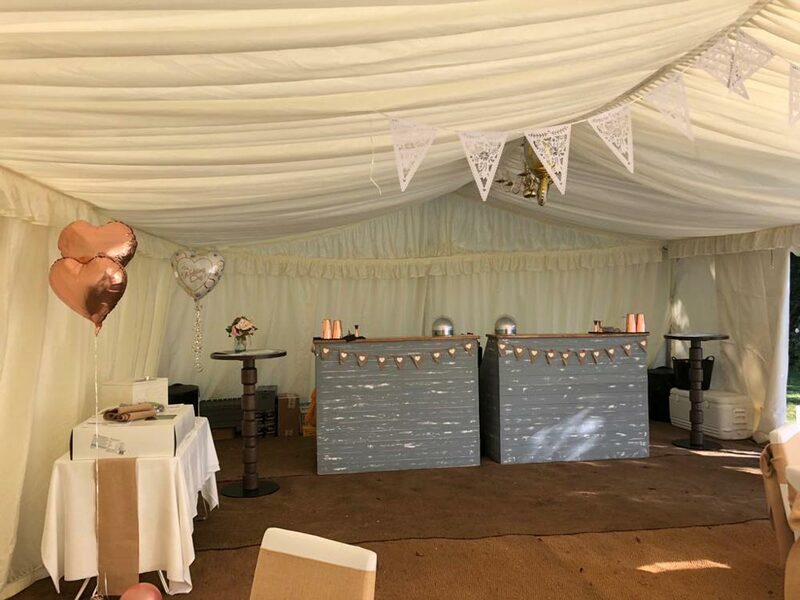 The wedding planning team decided, along with the bride and groom, to move the event to a marquee in a family home nearby, but the pub company had no form of mobile bar services. Three Piece were therefore asked to oversee a cash bar service that matched the current wedding theme and level of service expected by the guests at the pub group venue. We approached the event with confidence, knowing that we could deliver the type of service that the guests were expecting and probably at a more affordable price than the venue itself as our prices are very competitive. As we had less than 4 weeks to prepare the event, a meeting was arranged with all parties involved so we could plan the service and ensure that nothing was double booked, over-ordered or forgotten. Within 2 weeks the deposits were paid and final plans were put in place ready for the event delivery on the big day. The event was hosted in a 20m x 10m marquee with power and heating. There was no water supply but our mobile bar units do not require this so we set up near the entrance of the venue with the DJ and dance floor in the opposite corner. As there were 40-50 guests attending we used two bar stations so that there was a reasonable amount of bar space for stock and storage, as well as service. For cash bar events we prepare the bars early to ensure time for any complications that may not be foreseen, as there is always a large list of drinks on offer. In this case we arrived around midday to set up, ready for an early evening start. Working with the event manager, we set up the bar units in the allocated space near the entrance, which took less than 1 hour so we stocked the bars ready for service and returned after the ceremony, in time for the evening reception. We didn’t serve the table drinks as the event was much more casual so we remained on the bar, focused on the drinks service. We use iZettle as our card service provider, taking chip & pin and contactless payments up to the value of £30 from all major debit and credit cards. We also accept cash and have plenty of change available, just as a real shop would. Our float tends to be between £150-250. In some cases, we can provide a token system for bulk payments up to £1000 at a time, which allows you to put a little cash behind the bar and give your guests a token to swap for a drink. The clients wanted Mr & Mrs cocktails, bottled wine, canned cider, draft beer, mixers, shots and soft drinks. We prepared all the ingredients for the cocktails and had the remaining drinks on chill in our ice-chests, as we don’t supply fridges. This means we are less reliant on the venue power supply and can accommodate for cash bars anywhere. The drinks were served in plastic cups to minimise costs and reduce the risk of breakages, as the event was outdoors and guests were walking bare-footed. We recycled all the plastic cups as they were disposed of in one bin and separated from the general waste. 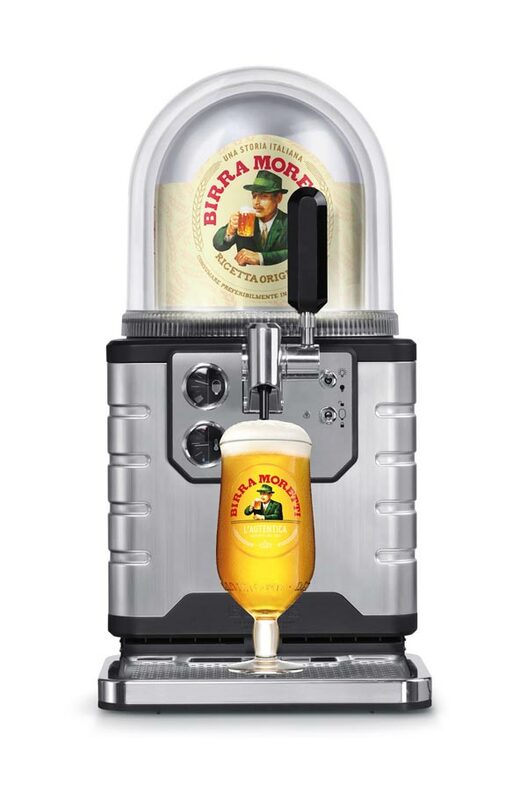 Our beer system also employs a plastic keg which is fully recyclable - it’s an amazingly versatile and compact piece of equipment that can pour fresh pints of Heineken or Birra Moretti with ease. Very few companies offer this solution and we are proud to serve such great beer without the need for bottles chilled and recycled at a costly expense. Three Piece is expanding their cash bar service offer, getting more bar units and till systems so that multiple cash bars can run at one event. Our goal is to be the number one pop-up cocktail bar service in Hertfordshire; where people come for advice on alcohol, event support and great experiences. So in 2019 we will be improving our prices and offering more value for money.